Pickabook.co.uk ~ Book Awards ~ Online Bookshop. The Berkshire Book Award was launched in 2004 and has been tremendously successful and popular with young people aged 11-14 who live or go to school in Berkshire. The Award is unique in the county and differs from other Award schemes through its involvement of young readers in both nominating the titles and selecting the winner. Previous winners have included Jeff Kinney, Robert Muchamore and Anthony Horowitz. The Blue Peter Book Awards have been celebrating the best authors, the most creative illustrators and the greatest reads for children since 2000. There are three categories of awards. 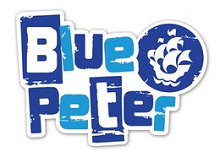 The favourite book in the three categories is voted Blue Peter Book of the Year. The Buckinghamshire Children’s Book Award is being launched in 2018 to promote and celebrate the best books written for children and young adults that have been published in the last 12 months. Our aim is to inspire and empower young people to read more and to share their love of reading with others. We want to encourage reading for pleasure, independent choice, and wider reading habits. The Carnegie Medal is awarded by children's librarians for an outstanding book for children and young people. The Kate Greenaway Medal is awarded by children's librarians for an outstanding book in terms of illustration for children and young people. The Concorde Book Award was started by a group of librarians from South Gloucestershire schools. It is now in its tenth successful year and the award is still growing! The idea behind the scheme was firstly to encourage students to join reading groups, which in itself provides an enriching experience, but also to provide an award that takes account of the students’ views, as distinct from the many children’s book awards which are judged solely by adults. The Costa Book Awards reward books of the year by writers based in the UK and Ireland. There are five categories of prize: Novel, First Novel, Biography, Poetry and Children's Book. An overall winner of the Book of the Year is selected from the five winners. 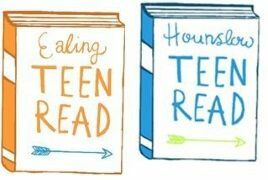 The Dudley Teen Book awards take place annually and the winner is voted for by the participating schools’ students. The Excelsior Award is the only nationwide book award for graphic novels and manga - where kids aged 11-16 decide the winner by rating each book as they read it. Eight graphic novels are selected for the shortlist and it now attracts over two hundred and fifty schools and public libraries from all over the UK and Ireland! The GDST Book Award was set up in 2015 by librarians working in the 20+ GDST schools across England & Wales. Each school nominates a book suitable for Year 8 readers that has already been shortlisted for a prize locally or nationally, this ensures our pupils are reading The Best of the Best! Pupils vote on a shortlist of 5 books and the author is invited to a participating school to receive their award. The Man Booker International Prize can be won by a living author of any nationality, providing that his or her work is available in English. It is awarded every second year for a body of work that has contributed to an achievement in fiction on the world stage. The Man Booker Prize for Fiction aims to reward the best novel of the year written by a citizen of the Commonwealth or the Republic of Ireland. The Children’s Book Award is the only <?xml:namespace prefix = st1 />UK Natiional book award voted for entirely by children. Thanks to the support of the publishers, over 1,000 new books are donated to be read and reviewed by our Testing Groups across the country every year, with over 150,000 total votes being cast in the process. The Wessex Amazing Book Award has been set up by a group of librarians working in Wessex schools. The motivation behind the award was to give pupils a voice in choosing the books they love for the award. Each participating school puts one title onto the longlist, which is then cut down to a shortlist of 5. The pupils then discuss the shortlist and select their winner at an event in the spring. Click to view schools' recommended books.